The Lenovo P2 has been officially launched today, in India, like we reported recently. The phone is backed by a massive 5100mAh battery, which supports quick charging. HTC has launched a new device called the HTC U Ultra. The phone is the company's first phone with dual displays, ala HTC's version of the LG V20. The primary display is a 5.7 inch, Quad HD 1440p Super LCD display with a pixel density of 513 ppi, and Corning Gorilla Glass 5 protection. The secondary display, is a 2.05 inch 160x1040 pixels display. The HTC U Ultra runs on Android 7.0 Nougat with HTC Sense on top. The device is powered by a 2.15GHz 64 bit quad-core Qualcomm Snapdragon 821 processor, with 4GB of RAM. The phone has 64GB of internal storage, with support of up to 2TB microSD, via Hybrid Dual SIM. 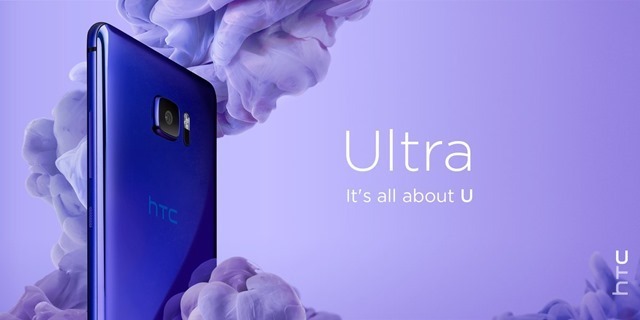 The HTC U Ultra sports a 12 megapixels rear camera with a HTC UltraPixel 2, with a 1.55μm pixel size, Phase Detection Auto Focus, and Laser focus, back-illuminated sensor,Optical Image Stabilization, ƒ/1.8 aperture, Sapphire Lens and a Dual tone LED flash. 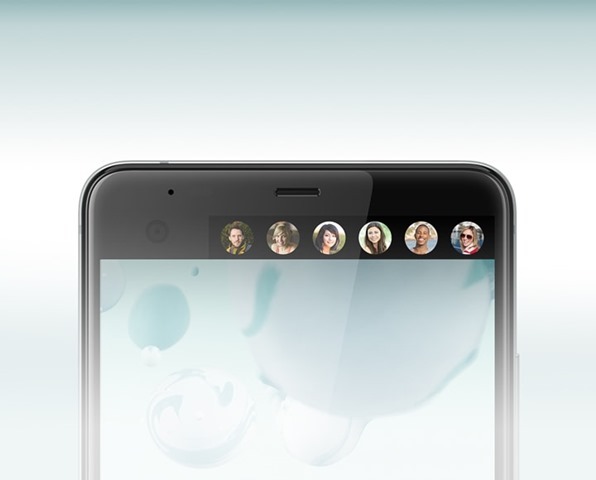 The selfie lens is a 16 megapixels front camera with HTC UltraPixel, a BSI sensor and ƒ/2.0 aperture. The device is backed by a 3,000mAh battery, which supports Quick Charge 3.0. The HTC U Ultra sports a front facing finger print scanner, comes with a USB Type-C port and a DisplayPort. So yes, there is no 3.5mm audio jack. The HTC U Ultra has Usonic Audio and BoomSound speakers, and comes with a new personal digital assistant called HTC Sense Companion. The, which can help you with day to day tasks, reminders, provide weather alerts, recommend restaurants, book seats, etc, using voice recognition. It is adaptive, and learns your voice and respond, even when the device is asleep. You can use it to send messages, dismiss alatms, reject calls, etc. The HTC U Ultra will be sold unlocked for $749, and will begin shipping mid March.